Acupuncture has experienced a steady increase in popularity of the past 40 years. In 2014, over 10 million acupuncture treatments were administered in the United States alone, according to the National Center for Biotechnology Information (NCBI). With a growing body of scientific studies showing acupuncture’s effectiveness in providing pain relief, researchers and health practitioners have been actively engaged in a quest to understand the full potential of acupuncture. Can Acupuncture Really Help Promote Weight Loss? Recent studies have shown that when acupuncture is combined with traditional methods of weight loss, patients lose more weight. In these cases, one to three acupuncture weight loss sessions can be safe and effective in helping people achieve reasonable weight loss goals. It’s a staggering fact that as many as a quarter of all Americans are overweight. In their struggle to lose those excess pounds, Americans spend over 33 billion dollars every year on weight-loss programs. Regrettably, a whopping 95 percent fail in their attempt to lose the weight they need to maintain good health. Fortunately, acupuncture can be effective for losing weight. Acupuncture involves the insertion of very fine, sterile needles at specific body points or “energy pathways.” The inserted needles act to stimulate the release of endorphins, the body’s natural “feel good” hormones. This can create a calming, relaxing effect, which counteracts the need for excessive eating brought about by increased stress, frustration or anxiety. In this respect, acupuncture can calm those so afflicted and help them lose weight without resorting to drugs. The effect of acupuncture on a client’s emotions also plays an important role in aiding weight loss. Acupuncture affects the neuroendocrine system by blocking harmful neurochemicals to restore the natural balance of hormones and neurotransmitter levels. The resulting release of endorphins helps to reduce stress, which in turn helps to prevent the urge to overeat. The potential side effects of acupuncture include soreness, fatigue and muscle spasms. With the hormone levels and bodily processes changing, it is common to feel sore and exhausted. Often times, the nerve simulation caused by acupuncture will continue after the needles have been removed. However, the muscle tremors should be gone within a day or two. The side effects can also be emotional. It is important to note that acupuncture treatments must be administered by a qualified acupuncturist. For the best results, these treatments should be combined with a reduced calorie diet and appropriate physical exercise. The critical point to be made here is that acupuncture should be viewed as a support system not a sole modality. 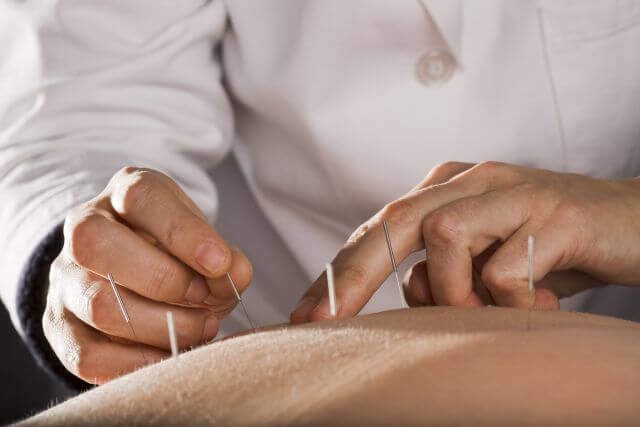 Click here to learn more about Pacific College of Oriental Medicine’s Chicago Acupuncture programs, New York Acupuncture, and San Diego Acupuncture Programs.